From 1987-1989. worked as an intern researcher at Karaganda State University. With 1989-1992gg. 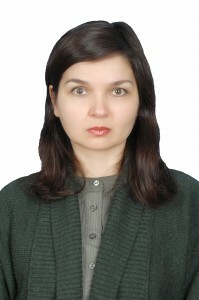 was a graduate student at the Institute of Chemistry of the Academy of Sciences of the Tajik SSR. After graduate school master’s thesis. Since 2010 I have been working in the Karaganda State Technical University at the department of physics at the assistant professor.